Bowra is open to visitors from 1st March to 31st October 2019. Visitors are welcome to travel about the sanctuary on well-maintained designated dirt tracks seeking birds or other wildlife. During August and September the sanctuary can be alive with wildflowers if the region has received rain. Bookings are essential. 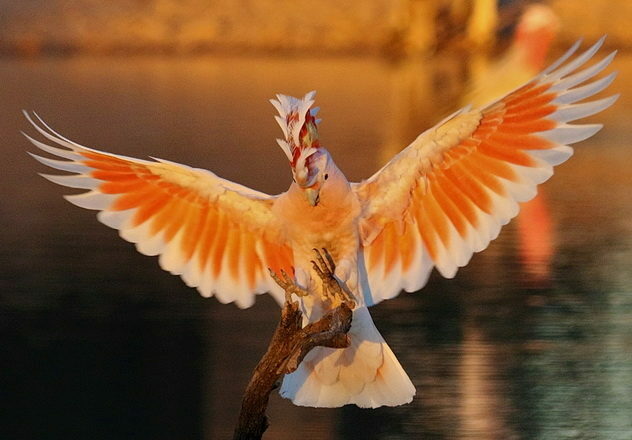 Bowra Wildlife Sanctuary has a long reputation as a reliable birding site with a bird list of over two hundred species, including nine threatened species. Three species of Australian Babblers are present and the rare Grey Falcon breeds on the sanctuary. A number of bird monitoring programs are in place at Bowra and all visitors are encouraged to assist. The main program is a daily Bird Call which records the species seen each day and fixed route survey forms are available for those who wish to assist in bird monitoring. Bird lists and maps are supplied for all visitors. Our volunteers and other visitors are also a wonderful source of bird information. The Shearers’ Quarters accommodates 11 people, in six bedrooms. The Quarters share the kitchen, common dining and meeting area. The showers and toilets for the Quarters are in adjoining buildings. The building has 240v power, hot water, kitchen with a stove, microwave, toaster, cooking pots and utensils, crockery and cutlery. Detergents and tea towels are supplied. All beds have sheets, blankets, pillows, doonas and electric blankets for cold winter nights. Towels are provided. All visitors must take their rubbish off the property. Camping is in open areas adjacent to the buildings and around a nearby lagoon. There are facilities for a few caravans or camper trailers to access 240v power. This power is quite limited and not suitable for air conditioning, heating, cooking or other power-hungry uses. Campers use the same showers and toilets as those staying in the Quarters. There is also plenty of bore water on the property. Open fires of any type are not permitted. All costs are per person per day. Bookings are essential. Please refer to the Conditions of Entry prior to arriving at Bowra Wildlife Sanctuary. Bowra is open to visitors from 1st March to 31st October 2019. Bookings are essential. There is a limit on how many people Bowra’s facilities can accommodate. Without a booking you may be unable to access accommodation and may be turned away. To make a booking, email us via the BOOK NOW button below or call (07) 4655-1238. Please note: all enquiries over the over Summer months Nov-Feb should be made by email. 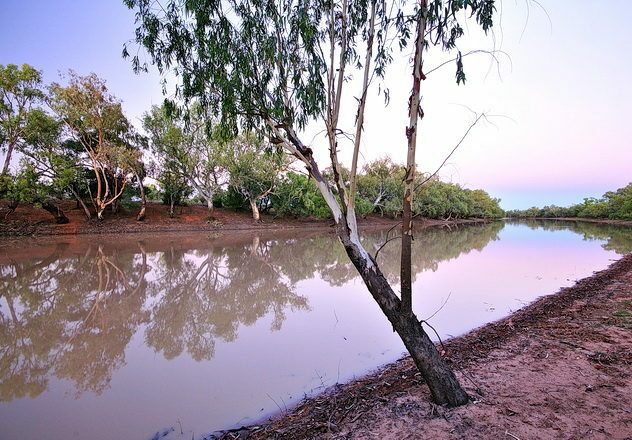 Bowra is in south-west Queensland about 16 kilometres north-west of Cunnamulla. Head west from town across the Warrego River and after about 200 metres turn right at the sign (Humeburn Rd, Golf Course, Bowra). Head north about nine kilometres until you see the Bowra gate on the left. There is a a white letterbox (fuel drum) with Bowra painted on it. The house and accommodation area are six kilometres along the dirt road. This road can be rough (particularly for vehicles towing) and slippery when it is wet so ring ahead for advice if you have any doubts. The office is in the large house. Report there when you arrive. All roads on the property are dirt and can be dusty in dry conditions and very muddy and at times impassable when wet. When it’s wet all vehicles are banned from the roads to prevent damage. 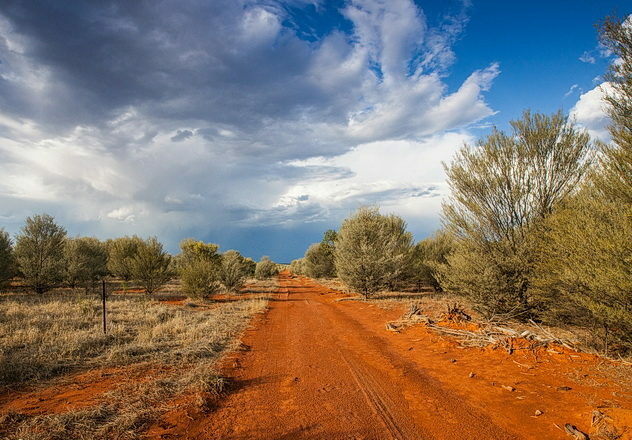 4WD vehicles have no difficulties getting about in dry times and most roads are accessible to normal vehicles although a few spots may cause a problem. Take advice from the volunteers on site. 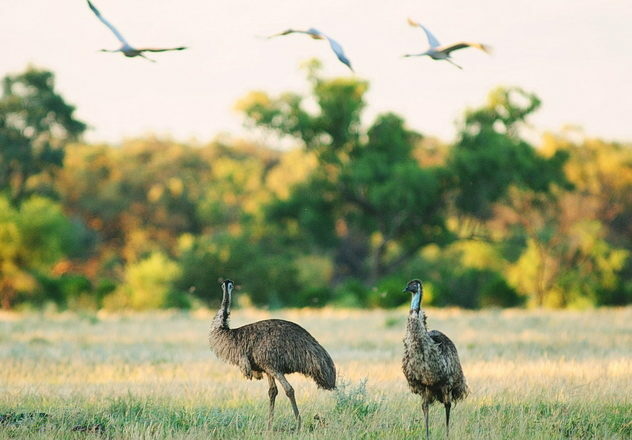 Ready to visit Bowra Wildlife Sanctuary?